Throwing a children’s pool party on a hot summer day will make you the coolest parent in town. Best of all, it doesn’t even need to be a special occasion. If your child’s birthday is in January you can still have a gathering of their friends to beat the heat with a refreshing afternoon in the water. We have some helpful suggestions to make your poolside bash a big splash! Follow Polka Dot's board Pool Party on Pinterest. With summer just around the corner, it is about that time to start perusing our pool party invitations. There is no better way to celebrate the freedom that summertime brings than with a pool paradise party right in your own backyard. Pool parties can never go out-of-style, especially when you have an abundance of pool party invitations at your disposal. Cue Polka Dot Design. We pride ourselves on having some of the best summer party invitations in the biz, and know that you will walk away satisfied with these pool party invites. Perhaps your celebrating an upcoming kids birthday party and want a simple, no-frills party theme that will be memorable for all. Our kids pool party invitations are top notch in terms of creativity and candor. 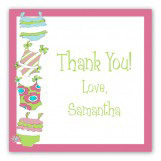 A child's birthday party does not need to be a stressful, time-consuming event. In fact, once you square away the theme of a pool party—you are half in the clear! Grab some floaties, light up the barbecue, and decorate with a few tropical pieces of decor and you are in business. All you need are some good tunes and sunshine and your party planning is complete. 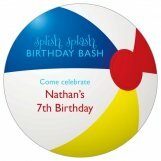 Our child pool party invitations run the gamut in terms of age range and maturity levels. We feature a younger-style invite that contains cartoons and cannonballs or a more mature invitation that features photo cards, palm trees, and more. Depending on the age of your child, we have a range of invitations to cover your needs every time. Pool parties do not need to be kid-friendly either. Throwing a pool party can be a timeless event that attracts adults and kids alike. If you are thinking of gathering together your friends and neighbors, or simply think it is about time to host at your home, our summer party invitations are where it's at. 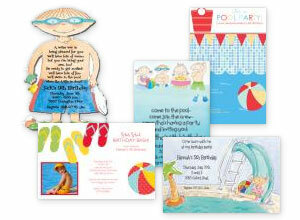 Turn a regular party idea into a pool paradise with just the right invites and a few conclusive decorations. It really is that simple. Pool parties focus on the pool itself, which means that half the battle is having a place for people to swim. Set out pitchers of lemonade, grill some hot dogs, and open up a few bags of chips and voila—the easiest pool party you have ever hosted. It doesn't need to be more complicated than that. 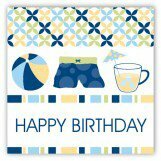 If you are seeking out some fun and exciting pool party invitation ideas, then you have come to the right place. Here at Polka Dot Design, we pride ourselves at being your go-to source for all things pool party related. From our stellar assortment of pool-inspired invites, to walking you through how to throw a pool party extravaganza, we offer our guidance in order to help you throw the best gathering you can throw. Remember, it all starts with the invitations. The rest is up to you to pepper in your own pool party fun.